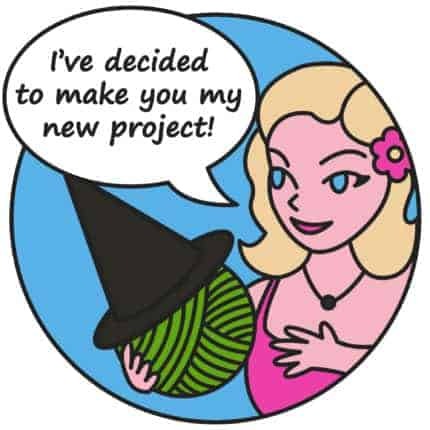 A bouquet is nice and all, but let’s be real — if you’re reading this, you’d probably rather have yarn! 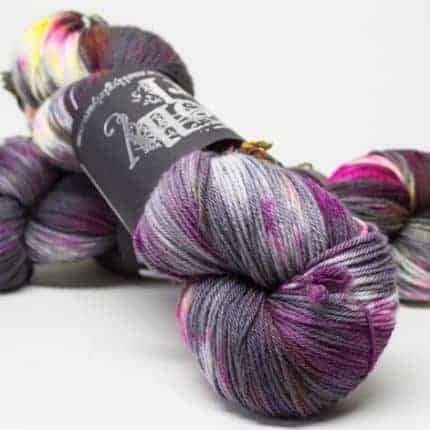 I mean, I knew my husband was a keeper for sure because he got me yarn for our first Valentine’s Day together. “Every Rose Has Its Thorn” isn’t really your typical Valentine’s Day song. Which is good because I’m not a huge fan of V-Day. It’s a song that’s dramatic and highly colored and about hurt and pain and loss. Which are things we all experience at some point. 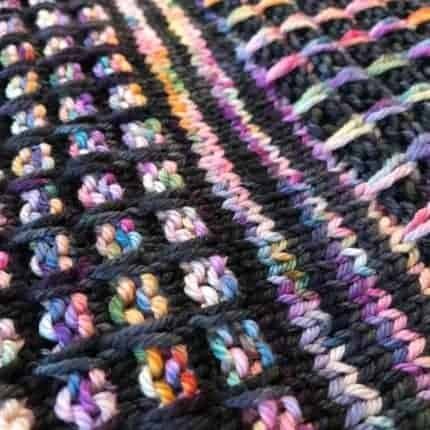 With it’s contrasting tones of cool silver grey, warm dark pinks and occasional splashes of rich blues and purples, it seemed to echo the singer’s feelings about the duality of love. It seemed like a great fit for this color, to me, and I hope you’ll agree. 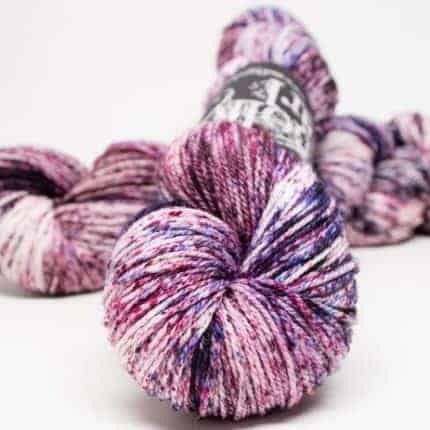 This color is now available on several bases, including Boogie Woogie, Rock Star Sport, Rock Star DK, Rock Star, Rock Star XL and Motown! 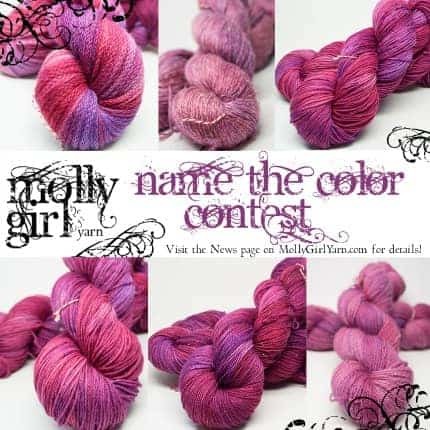 MollyGirl Yarn’s First Ever NAME THE COLOR CONTEST Is Here! • Go here to fill out a quick form. 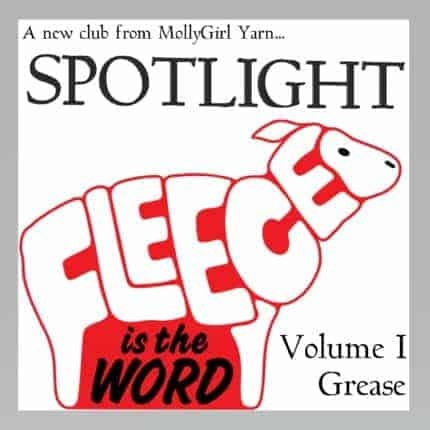 • If you haven’t already, join the MollyGirl Fan Club group on Ravelry! There is a quick survey attached to the entry form, but you aren’t required to fill it out if you don’t want to. There’s SO MUCH new stuff coming for MollyGirl in the next few months, and I want to make sure you keep loving what we’re doing, so anything you decide to write will be helpful! So don’t wait! Enter now through midnight EST on 5/15! I’m not sure yet if I’ll pick a winner myself or put it to a public vote, but make sure to follow us on Instagram, our email list, or keep your eye on the Fan Club to keep up-to-date with the contest proceedings! 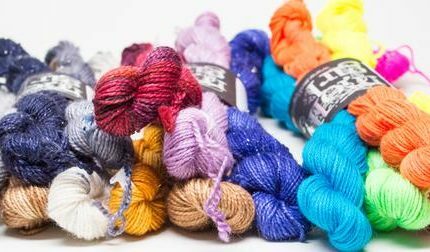 This will be a part of our second round of spring colors (there are three new ones waiting in the wings!) 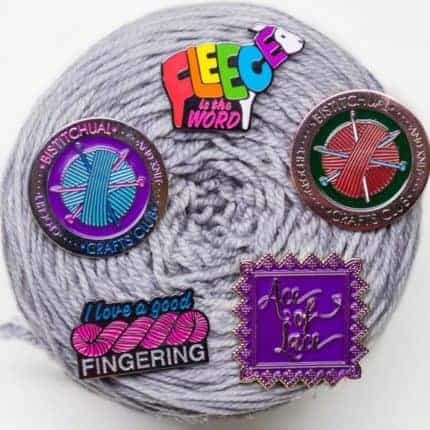 and so once the winner is determined all of those will be announced together in various locations, including Indie Untangled, of course! That’s it! I can’t wait to see what you come up with!